Jaime Haletky, Wilton Alejandro and @Dval17 go to the flop, see a board of 4-6-7 and Valdez announces he's all in for his last 136,000. Valdez has had a rough ride since moving to the right of chipleader Paul Richardson. Then again, everyone's had a rough ride facing Paul today. Alejandro says "I'll gamble with you," but he acts out of turn as it is Haletky's call first. 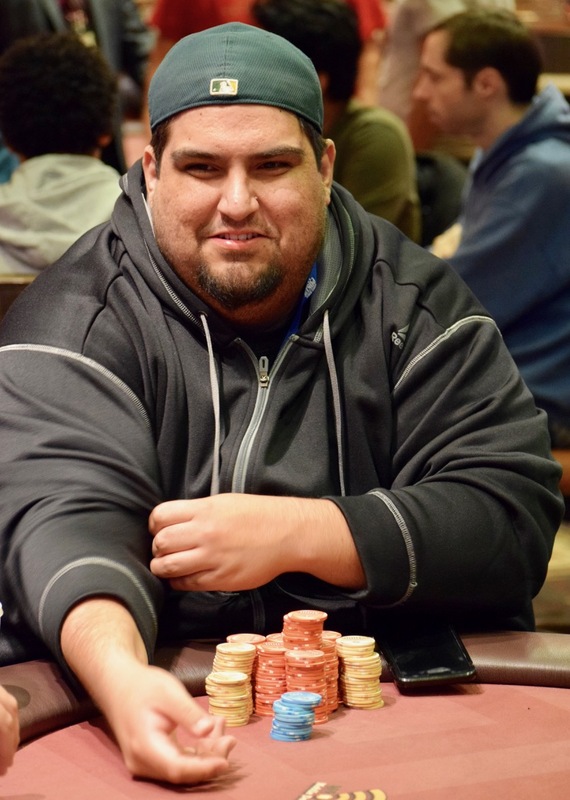 Haletky folds and Alejandro makes the call, leaving 250k behind. Valdez shows Six_Eight for middle pair and a gutter to a 5. Alejandro has two of those Fives. The board runs out Jack_King and Valdez is back to 375,000.